A gripping account of ordinary men with extraordinary courage and heroism who had one last chance to make good-and one helluva war zone to do it in. 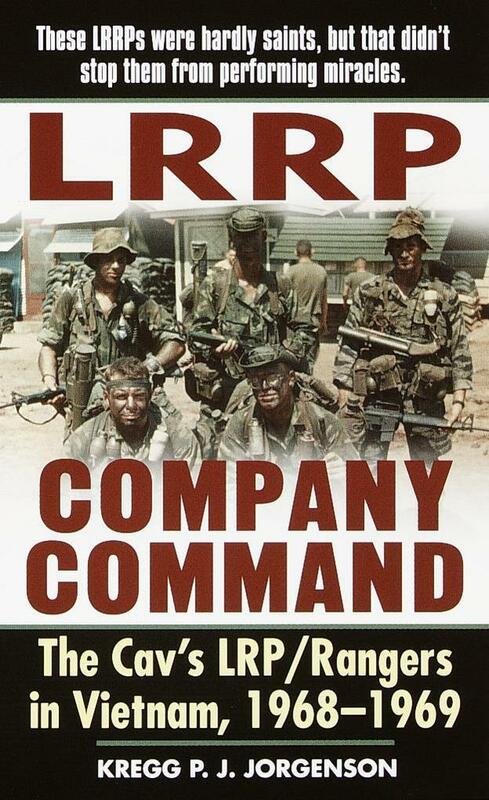 The new commander of the Company E, 52d Infantry LRRPs, Capt. George Paccerelli, was tough, but the men's new AO was brutal. It was bad enough that the provinces of Binh Long, Phuoc Long, and Tay Ninh bordered enemy-friendly Cambodia, but their vast stretches of double- and triple-canopy jungle were also home to four crack enemy divisions, including the Viet Cong's notorious 95C Regiment. Only the long-range patrols could deliver the critical strategic intelligence that the 1st Cav so desperately needed. Outmanned, outgunned, far from safety, these LRRPs stalked the enemy to his lair, staging bold prisoner snatches and tracking down hidden jungle bases. Hiding in ambush, surrounded by NVA, these teams either pulled off spectacular escape-and-evasion maneuvers in running firefights-or died trying. Kregg P. Jorgenson served in Vietnam with Company H, Rangers, and later with Apache Troop, the 1st Squadron of the 9th Cavalry. He is a graduate of the University of Maryland and City University of Seattle. He lives in the Pacific Northwest.